Accumold is a high-tech manufacturer of precision micro-molded plastic parts and components for markets that include micro-electronics, medical and micro-optic applications. Processes include: insert molding, clean room molding and 2-shot molding. Materials include: PEEK, Ultem, and LCP. 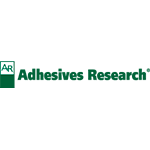 Adhesives Research is a leading company in the development and manufacture of high-performance pressure-sensitive adhesives & coated products. AR specialises in bespoke products by designing both the device & the end-user needs into the performance of our adhesive including critical factors such as ease of use, comfort during wearing, wear-time (hours to 14 days+) & biocompatibility with the skin. AiQ Smart Clothing Inc. is considered a pioneer in the Smart Clothes industry. By taking a unique architectural approach, AiQ is working to accelerate the development of a wide variety of smart clothes focused at different slices of human life – play, work, entertain & stay healthy. AiQ’s innovations are backed by over two hundred patents. AiQ believes that clothes are the universal wearables and making them smarter to enrich everyday experiences is a natural progression of technology. 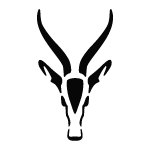 ANTELOPE is the first series of technologically-enhanced sportswear embedded with muscle-targeting electrodes that stimulate each of your major muscle groups, helping you reach your fitness goals faster than ever. It’s the only wearable that pro-actively works to increase your performance in your favorite sports discipline. ALBICCHIERE is the smart dispenser with IoT functions for wine in bag with a mobile App and e-commerce platform where people can buy wine. ALBICCHIERE resolves some limits of the consumption of bottled wine. 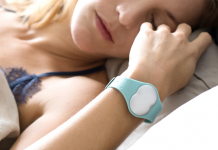 BioBeat develops a cutting-edge wearable monitors for remote non-invasive accurate medical-grade monitoring of vital signs and other medically relevant parameters. Biobeat’s wearable automatically uploads monitoring data to a smartphone based app and to the cloud, where it can be monitored remotely. Ultimately, Biobeat’s solution allows patients to be treated at the comfort of their homes, rather than in the hospital. With BPMpathway, orthopaedic patients are being discharged as early as the day of surgery to have their recovery remotely monitored at home. This has the potential to achieve massive cost reductions by shortening a patient’s Length of Stay, improve patient outcomes and deliver personalised care. 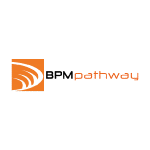 BPMpathway uses patented BPMpro CE Class 1 Medical Device technology, tested to 60601-1 standards. Bragi was founded in 2013 and went live a year later on the crowdfunding platform Kickstarter. Bragi has envolved from a promising start-up to a market moving creator of innovative technology, opening the new category of Hearables. This includes more than 150 unique patents in the space. Through relentless innovation and discovery, Bragi wants to transform the world of smart headphones offering freedom of movement, maximum comfort and amazing sound – all while audibly coaching, tracking movement and capturing key biometric data. The Cicor Group is a globally active partner in the electronics industry. 1950 employees at ten production sites worldwide provides a broad range of technologies for the manufacture of complex PCBs and hybrids as well as complete engineering and manufacturing services for electronics and plastics. Conductive Transfers has developed a fantastic new process for making e-textiles using printed transfer circuits. The patented process results in e-textiles that are comfortable, durable, washable and cost effective. We manufacture and supply transfer circuits to customer globally for incorporation into their textile products. Our customers operate in automotive, health, medical, consumer and industrial markets and are using conductive transfers for a diverse range of applications. Conductive Transfers can supply equipment, training, inks and consumables – everything that is needed to manufacture e-textiles. The Digital Tools for Manufacturing Group (DTMG) conducts fundamental and applied research in computational and interactive digital engineering. With the CyberBuild Lab, we develop digital solutions in engineering, built environment, education and training sectors. Our core expertise includes modelling, human factors, cyber-physical systems, virtual environments and systems to bring cross-disciplinary collaborations across the product life cycle. 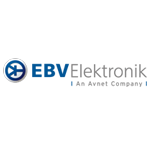 EBV Elektronik, was founded in 1969 and is the leading specialist in EMEA semiconductor distribution. EBV maintains its successful strategy of personal commitment to customers and excellent services. 226 Technical Sales Specialists provide a strong focus on a selected group of long-term manufacturing partners. 112 continuously trained Application Specialists offer extensive application know-how and design expertise. UnlimitedHand is the world’s first video game controller that can provide virtual haptic sensations. It has good chemistry with virtual reality. Since the establishment in 2012, H2L researches and develops technology that enables precise motion-gesture tracking for hands, as well as haptic feedback through EMS applied to the forearm. Hawa Dawa enables Smart City, Smart Mobility and fact-based planning. They provide real-time data from their IoT based, cost-effective sensor network, combining it through machine learning techniques with external data, such as weather and traffic data. The result are real-time air quality heat-maps that visualize air quality everywhere and anytime. 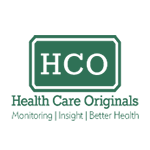 Health Care Originals Inc. (HCO) is a leading digital health startup, integrating IoT technologies to empower everyone through improved understanding and management of their health and medical conditions. HCO’s current wearable solutions are optimized for respiratory system applications, providing revolutionary, actionable insight into: illnesses like asthma and COPD; respiratory syndromes; research; health & safety and competitive sports. 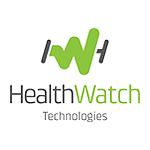 Founded in 2010, HealthWatch has developed the MasterCaution®, the first and only 3-12 lead ECG smart digital garment that is CE/FDA-Cleared. This is a non-lifestyle changing disruptive technology, based on wearable textile-electrodes and heart-sensing sensors and technologies, providing accurate digital health diagnostic services including mobile cardiac telemetry, patient monitoring tele-health services and other services that allow for in-home medical services. iBreve Ltd is an early-stage start-up founded by 2 former Google employees aiming to create a world free of stress related diseases. iBreve´s unique technology not only treats stress naturally, but prevents stress. IDUN Technologies Ltd. is a biosensor company based in Zurich, Switzerland. Coming from a stretchable electronics research group from ETH Zurich, IDUN is developing and producing soft and dry conductive electrodes for biopotential monitoring (ECG, EEG, EMG). With a unique and patented surface structure these electrodes provide high quality signals with skin-friendly materials without electrolyte gel or glue. 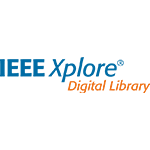 The IEEE Xplore® Digital Library is your gateway to trusted research— journals, conferences, standards, ebooks, analytics solutions and educational courses—with over 4 million articles to help you fuel imagination, build from previous research, and inspire new ideas. The IoT / WT Innovation World Cup ® is the worldwide leading innovation competition in the area of wearable technologies. It was first launched in 2009 and thousands of contestants already took part in it.The finalists of this year´s edition will present their innovative products live at the WT | Wearable Technologies Conference & exhibition floor. Every 15 seconds, a worker dies from a work-related accident or disease. 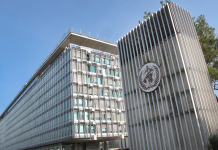 Work-related accidents and injuries cost EU €476 billion a year. Intellinium proposes the first smart and connected safety shoes that can save your workers’ life and reduce your costs. Since its inception in 2009, Intellinium has been developing technologies and smart PPE know-how with and for industrial companies and workers. iProtoXi offers customisable IoT platforms, services and applications. We design and manufacture innovative, modular, energy efficient and wearable electronics. Our solutions include full stack design services and cloud ready IoT platforms. 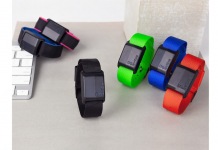 Kiddoo is a smartwatch you give to your kids when you do not want them to have a smartphone. It is the easiest way to stay connected whenever needed. It gives them more freedom, and gives parents more peace of mind. 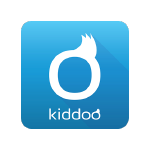 Useful functionalities packed into a stylish design: Kiddoo is the result of the encounter between a digital marketing agency, a lifestyle electronics brand and one of the largest educational toys manufacturer in the world. With their combined expertise, they came up with their version of the ideal Smartwatch for your kids. At KINVENT, we measure progress and create biomechanics solutions for human movement evaluation. We have been innovating for the last 2.5 years and have accumulated know-how sourced from European universities and rehabilitation centers. Luke Roberts develops the world´s first smart design lamp that allows you to move the light in any direction without moving the lamp. Luke Roberts consists of a team of experienced hardware and software developers and the founders have several years of experience as management consultants. Lumafit virtual coach puts you through your paces at home and at the gym. Interactive bootcamp workouts. Cardio gym session analyzer. Heart rate monitor. With Lumafit you can unleash your potential. While being still a newcomer on the technology and innovation market, MagnaSCI managed production and worldwide recognition in record time with its successful uRADMonitor product (with more than 800 units spread worldwide). Our mission focuses on developing technology to better our lives, unleashing the potential of new hardware/software hybrid applications. Designer Joanna Hir, teamed up with MuArts, a brain-computer-interface company, to create accessories linking braintech with fashion design. 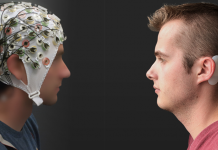 Headpiece and earrings use EEG technology, capturing and providing user with the information about brain data, allowing user to be conscious of their mental state in the real time, predict, control and manage brain states. The tech installed on both pieces was programmed to activate with the focus of the mind and change modes of the light, depending on the user’s concentration level. This technology allows the user to control all the tech on the body and in the space around them with the focus of their mind. Myclose is a startup born in late 2015 to develop a new generation of smart locks with global communication skills (SIM operated). The purpose of the company is to design and produce and distribute locks which are able to fully protect properties and vehicles with solutions based on innovative features. All locks are made in Italy. noonee is the inventor of the Chairless Chair®, a wearable, ergonomic, mechanic device to support and relief employees in their everyday work. It reduces the workload of industrial employees and sustainably improving their health, performance, and working conditions. The Chairless Chair lowers the physical strain of standing workplaces and thus gives a response to the demographic development. Optinvent is a pioneer in patented see-through AR displays and products. Optinvent holds a key piece of patented technology; a cost effective high performance see through retinal display and has already sold thousands of products based on this core technology which is already in mass production. Optinvent’s dynamic team of experts has received several awards for its products and is recognized industry wide for its expertise in the field. 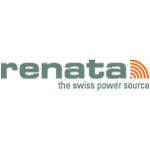 The Swiss Renata SA is a leading global manufacturer and supplier of industrial batteries for watches and OEM electronic industry. We offer a wide range of different battery technologies: lithium primary and secondary, mercury-free silver oxide button cells, zinc-air cells and thin-film cells. 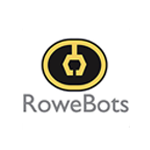 RoweBots provides one stop shopping for lean product development of wearable devices using WearableOS. WearableOS is a special packaging of Unison RTOS tailored to low power MCUs and MPUs, sensors and displays making it ideally suited to develop wearables. Using lean product development techniques with WearableOS and RoweBots services minimizes time to market and product development costs. RoweBots is based in Waterloo, Canada. 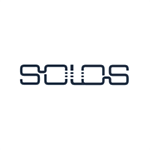 Solos Integrity is an industrial technology company offering world-first state of the art smart apparel technology coupled with anti-counterfeit authentication solutions for the world’s most recognised luxury brands and leading companies in the apparel, sports, entertainment and food & beverage industries. Solos Integrity is the first in the market to offer a complete wireless integrated smart modular system for inventory tracking, retail stock management, marketing and security. Solos Integrity’s continuing commitment to investing in R&D and forensic technologies ensures the continuation of Solos Integrity as an industry leader. SUPA offers a secure turnkey solution for brands: biometric data kits are modularly designed on top of core features enabling our B2B customers to offer new products for sports, wellness, and health. 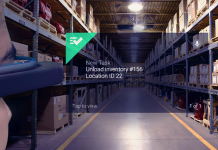 The SUPA Kits use AI to contextualize data from distributed IoT devices including SUPA sensors in apparel that carry a serial number making the apparel an addressable IoT device. SUPA empowers highly personalized and gamified insights for individuals and customizable data analytics for brands. SUPA is building a secure vault of biometric data to democratize healthcare. Activate your SUPA Powers! The SimyBall, by SimyLife, concept comes from elite sport. Athletes consciously use regeneration and training phases to enhance their performance. In our fast-paced world, we often lose sight of this information about our body. Even when we know that we want to do something for ourselves, sometimes we just can’t stay on the ball. This is where SimyBall comes in. It takes in the messages your body sends and uses games to enhance your mental performance. To make this concept a reality, we founded SimyLife in February 2016. StethoMe™ is a noninvasive device that will help people to check their health. This wireless stethoscope is going to enable independent and accurate examination at home. It is enough to apply the device at points indicated on the phone screen and StethoMe™ does the rest. Its contactless thermometer measures the body temperature in quick, accurate and silent manner. If any disturbing sounds are found, the intelligent StethoMe™ fitted with specialist algorithms will notify the user immediately. 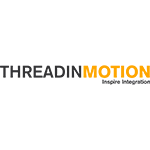 Thread In Motion turns all textile fabrics, which are indispensable to our everyday life, into interactive touchpads and make it possible to control all the smart devices in the world with them. Thanks to our special weaving methods, we offer software solutions with our smart textile, hardware and special algorithms. Now today, we are able to create a touchscreen effect on every piece of fabric. All the software, textile and hardware creations have been accomplished by our special team. Tip Crop believes that human farming will undergo amazing transformation in the next few years. Tip Crop puts its best herbs, miniature vegetables and flowers at your fingertips. It is designed to give exactly what they need, when they need it. Using a combination of IoT, Artificial Intelligence and advanced LED lighting technologies, they propose a serie of products to better care for your plants the best way possible. Formed by veterans from Semtech and IBM, TrackNet offers LoRaWAN based LPWA solutions that provide 10x the coverage and battery life of traditional wireless LAN technologies. By enabling TrackNet´s unique Tabs home security and tracking suite of products and services, public operators can densify their LoRaWAN networks without further capital expenditure in an “inside-out” deployment model. Likewise individual consumers and business get traditional home security and environmental monitoring functions with the added benefit of extended coverage outdoors for additional security (gates, sheds, tanks, pools, etc) and localised asset tracking applications. Since TRACKTICS was founded in 2014, the startup follows the vision to make objective performance data available for every football player and coach. Therefore, TRACKTICS invented a tracking-system especially for football. With TRACKTICS players can measure their athletic performance (e.g. maximum speed, distance covered) and see their tactial behaviour visualized for example in a heatmap. TRACKTICS offers a team and an individual player solution. 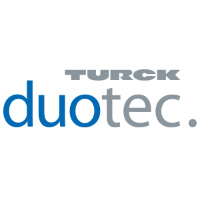 Turck duotec develops and produces miniaturised electronic components e.g. on ceramic substrates and overmoulded sensor modules. By using the autoclavable overmoulding technology electronic components are effectively protected from the effects of hot steam sterilization in an autoclave. The autoclavable overmoulding technology allows precise and miniaturized packaging of sensors and electronic assemblies using overmoulding with plastics materials and thus permitting repeated applications for medical usages. 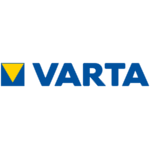 As the parent company of the group VARTA AG is active in the business segments Microbatteries and Energy Storage Solutions through its operating subsidiaries VARTA Microbattery GmbH and VARTA Storage GmbH. VARTA Microbattery GmbH is one of the innovation leaders in the microbattery sector, market leading in hearing aid batteries and strives market leadership for Lithium-Ion batteries. Through its subsidiary VARTA Storage GmbH the group also focuses on stationary Lithium-Ion energy storage systems, as well as customized battery storage systems for OEM customers. The VEXATEC system is the first Agility-Tracking-System, that supports, controls and monitors specific agility training, apart from trained sports-specific skills. The goal is to be able to expand and create optimal movement sequences to prevent injuries and to recognize personal weaknesses better. The VEXATEC Agility-Shirt measures different values, e.g. Electrocardiogram, Respiratory rate, Rotational dynamics or Calorie consumption, and transfers the data directly to a smartphone, tablet, or laptop. WORKERBASE provides an end-to-end platform to solve business problems in manufacturing. The lightweight Industry 4.0 Software and the Industrial Smartwatch allow to reshape your legacy processes and realize immediate returns on your investment. 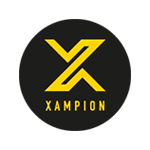 Xampion, a product by Progda, is a revolutionary movement analysis product for football players. The Xampion high-precision sensors deliver collected data wirelessly to your smartphone and analyse each ball touch and movement you made. Visualise your progress, get feedback, train smarter with concrete objectives and become a Champion.